If you can hum softly – you can play a kazoo. 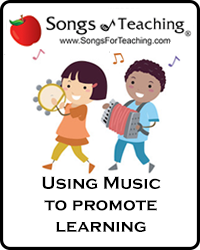 It’s a great first instrument because it easily builds confidence in musical ability while allowing a child or adult to recognize melodies and experiment with playing them. And a truly outrageous kazoo solo can send any child into a fit of giggles. It’s just plain fun! How do you play a kazoo? Place your mouth to the opening and hum quietly. Avoid humming loudly or blowing into the mouthpiece, neither will give you that classic kazoo sound. Take a bit of time to practice. It’s incredibly versatile and fun once you get the hang of just how to do it. Then what? Here are some ideas, games and activities you can do with a kazoo! Both parent and child can sound like a rock star when they play along with favorite songs and take their own solos or rock out on the melody! 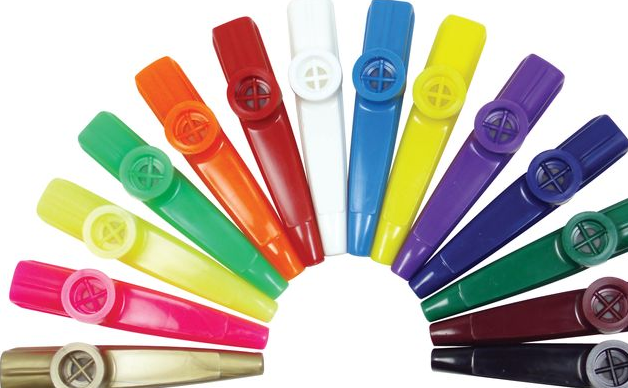 Parent or child play a melody on their kazoo and the other must guess what the name of the song is. 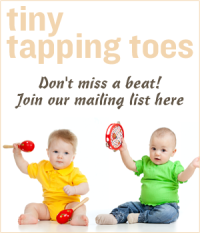 Parent or child name a song and the other must play it or lose a point/turn. Parent or child play a series of notes or a short song and the other must play it back exactly. It’s best to start with simple short musical phrases and get more complicated as the game goes on.